These Fellowes Premium Business Card Laminating Pouches are perfect for all of your high end presentations and frequently handled documents. Fellowes laminating pouches are manufactured to exacting specifications to provide an airtight, bubble free ultra clear finish for your documents and photos. These premium quality pouches are designed to run in your Fellowes Laminator or virtually any other brand of Pouch Laminator . These Fellowes Laminating Pouches are easy to use; Just place your document into the pouch and insert it into the laminator. It doesn't get much easier than that. 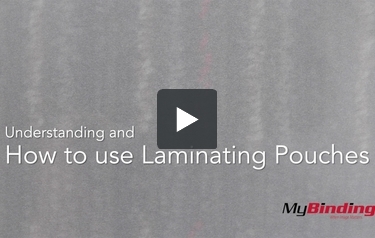 Choose from a wide variety of sizes and four different pouch thicknesses to fit your specific Laminating project. Pouch Dimensions: 2-1/4" x 3-3/4"
These laminating pouches for business cards work great for those business card size ID cards that you get and preserve for a long time that have no protective cover like your SS card, Medicare card or any card that is paper and is expected to last a lifetime. I bought these business card-sized pouches to use for my membership cards and they worked great with my new Fellowes laminator. The inside of the pouches is textured, so the card stays in place inside the pouch as it's going through the laminator. They came out the other side smoothly, with no air bubbles, and look very professional (with rounded corners). Very pleased with these reasonably-priced pouches.